Best kept secret on Siesta Key. 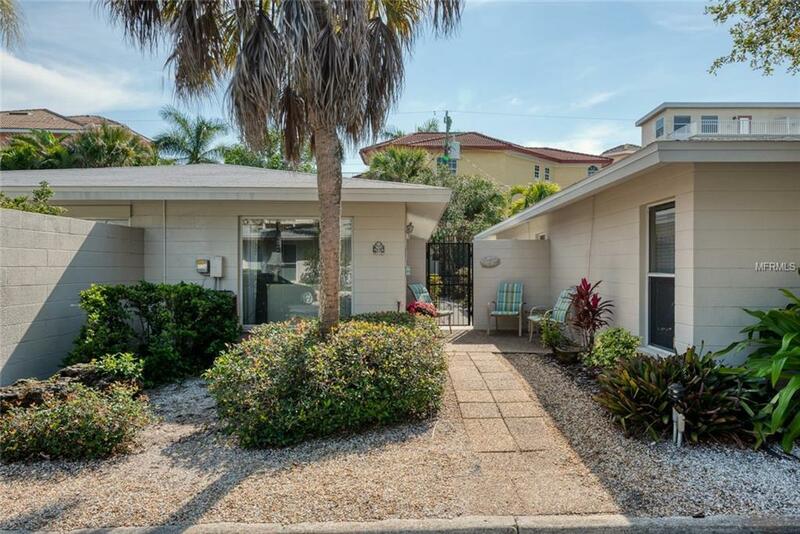 A truly private Villa with DEEDED BEACH access. Plus a wonderful community with a park on the intracoastal. Truly sunrise to sunset living. PET FRIENDLY! The home is tiled throughout and each room is oversized with tons of closet space. Master bedroom even has a sitting room with sliders out to private patio. The office/den is complete with built-ins and sliders to the rear patio, where there is an outdoor shower, grill area and shed for all your beach and fishing gear. The beach access is through Aloha Kai. This includes a junior Olympic pool, private beach area and chairs on the #1 beach in the USA. Bring your towel and enjoy. Additional Water Information Private Deeded Beach Through Aloha Kai.